Stodgy wuxia fun that gets bogged down in too much talking about double-crosses and other intrigues. Call me old fashioned, but the fight sequences are shot and edited all wrong too. Three Ming Dynasty Imperial Assassins are charged with killing the ex-head of the Secret Police, in other words their ex-boss. But things go wrong and soon the new boss is surreptitiously trying to kill our three brothers in arms. Brotherhood of Blades paints a very bleak picture of pariah government sanctioned killers and the power plays that make and break them. It’s so bleak that the fight sequences come as much needed light relief. However, I have a big gripe: the fights are edited in the contemporary close-up kinetic style, so there are no establishing shots and no full body length shots throughout the fights. You can’t really appreciate the balletic movements and physicality of the actors and what you notice instead is the editing itself. The fights turn into a film form mush. Our heroes aren’t particularly good at the brotherhood thing either. In fact, maybe the reason this film doesn’t really work is that the heroes are, as one of the conniving politicians says, just grubby little worms doing the dirty work for their masters, with no dramatic life outside the game in which they are pawns. An unexciting tale of fleeting loyalties, with the three brothers showing no outstanding signs of brotherhood. But there are lots of blades, CGI and otherwise. 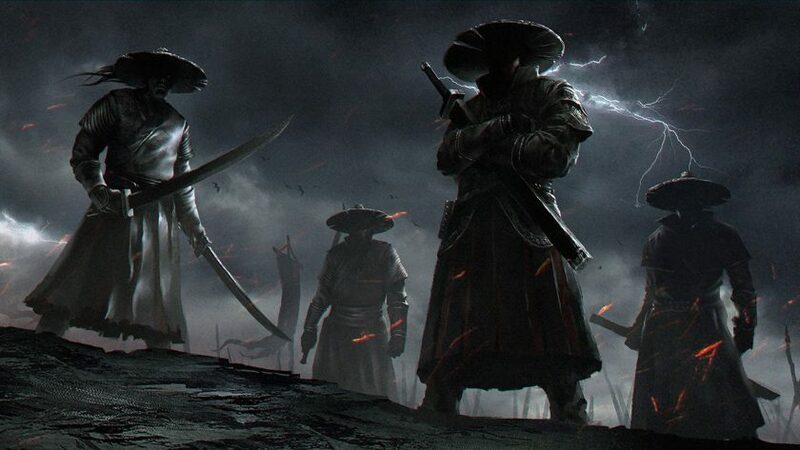 Brotherhood of Blades is out on DVD, Blu-ray, on-demand and download on 10 April.